Our philosophy and programs are based upon findings from educational research. Here is a collection of recent peer-reviewed studies that are relevant to improving and expanding educational outcomes for all students. New research shows that when parents and caregivers do a little math with their child every day, math learning is supported, even if the adults are math-phobic. Bedtime Math is a resource that provides a picture, a little bit to read, and an interesting math challenge at four levels (“Wee Ones” to “Sky’s the Limit”) every day. It can be accessed through their app or on their website. Adults initiate a conversation each evening at the dinner table (or at the breakfast table, or whatever time works for them) about the math, which builds children’s comfort with engaging in mental math, their number sense, and even their achievement in math class. The research showing the positive effects of these conversations were covered by many news outlets. Each interactive has the activity, instructions, suggested explorations, and related resources. Three-Act Tasks are sprinkled throughout the SFUSD Math Core Curriculum. Many folks have shared information about how to implement them online, and more examples of this kind of task. One place to look is Dan Meyer's blog and his list of Three-Act Tasks. Mistakes Grow Your Brain: the neuroscience behind valuing mistakes in the math classroom. When You Believe In Your Students They Do Better: simple changes is your classroom that can have a big impact on your students. Math Tasks: cool math tasks at all grade levels (including low-floor high-ceiling) and math domains (including cross domain). 101questions asks the viewer to identify a mathematical question that is asked by a visual (photo or video). This is the first step in mathematical modeling, and an important habit of mind for using math in everyday life. The publisher of Fathom Dynamic Data Software has provided free licenses to Fathom for all SFUSD high school math teachers and school computers. Fathom is a great tool for exploring statistical concepts visually in high school math courses, including Algebra 1, Algebra 2, and AP Stats. Contact the Math Department for more information. Desmos has developed a free online graphing calculator. Many math teachers have already discovered how easy it is to create tables, graphs, and equations. In addition, Desmos provides a variety of classroom activities that guide students through explorations individually or in teams, along with tools to make your own. Try one out with your classes! Graphing Stories provides short videos that ask students to graph something against time over 15 seconds. They provide the graphs to graph on, and the videos include one possible “answer.” Discussion of that answer, and how it is different from what students came up with, can be a great opportunity for students to critique the reasoning of others and justify their own thinking. Which One Doesn't Belong is a fun website full of thought-provoking puzzles. Many of them appear as Math Talks in our curriculum. They help to engage even your most reluctant students because of their open-ended nature. They also support a positive math community by building confidence and appreciation for the unique ways in which we all see things. The California Department of Education site with Below you will find information about the standards and the CCSS-related activities taking place in California. 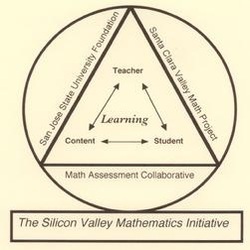 The project is working to design and develop well-engineered assessment tools to support US schools in implementing the Common Core State Standards for Mathematics (CCSSM). The project creates tools for formative and summative assessment that make knowledge and reasoning visible, and help teachers to guide students in how to improve, and monitor their progress. 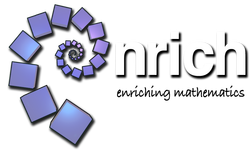 NRICH is a team of qualified teachers who are also practitioners in RICH mathematical thinking. This unique blend means that NRICH is ideally placed to offer advice and support to both learners and teachers of mathematics. Contact us for information on accessing these resources! Illuminations is a project designed by the National Council of Teachers of Mathematics (NCTM) which includes lessons and interactives searchable by the Common Core State Standards: over 600 lesson plans and over 100 activities; including virtual manipulatives, applets, and games. Diagnostic Teaching (Poster Problems): Diagnostic Teaching is an approach that aims to: bring the thinking of students out into the open so teachers can use it to promote math discourse; allow for a range of solution approaches - all valid, but some using more basic math that can seamlessly lead to using more advanced math; and give teachers lots of information as students complete tasks so they see and hear how students are advancing. 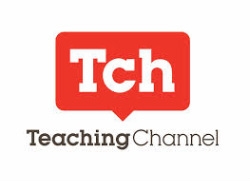 It features hundreds of helpful videos showing classroom practices that align with the CCSS-M.